Chemotherapy is a medical term that refers to medications administered in patients suffering from malignant tumors. The purpose of these medications is to kill and eradicate cancer cells. Chemotherapeutics are administered in a variety of ways. They may be given intravenously and in some cases they are available in a form of pills. 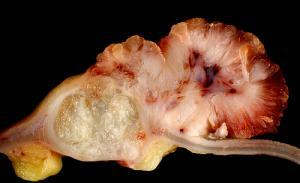 There are many chemotherapeutics available and the particular medication is chosen according to the malignant tumor. In some patients several chemotherapeutics are administered at the same time. Chemotherapy for colon cancer may be in a form of neoadjuvant chemotherapy and adjuvant chemotherapy. Neoadjuvant chemotherapy includes treatment with chemotherapeutics prior surgical removal of the tumor. Neoadjuvant chemotherapy is administered in order to shrink the tumor and this way allows the surgeon to completely remove the malignant growth. In case of rectal cancer neoadjuvant chemotherapy is combined with radiation therapy. This combination is more effective than if the chemotherapeutics are administered alone. Adjuvant chemotherapy for colon cancer is administered after surgical removal of the tumor. Its goal is to kill all the remnant cells that may have spread and have not been removed surgically. Colorectal cancer has been treated with 5-fluorouracil (5-FU) for many years. This chemotherapeutic is combined with leucovorin and the effect of the therapy are enhanced. 5-fluorouracil is administered intravenously. Recently, a special form of 5-fluorouracil called Xeloda has been developed. Xeloda represents 5-fluorouracil in a form of pill and is basically administered in patients in who the cancer has spread to other organs. In advanced stage of the disease, when the tumor has spread to distant organs patients may be treated with several more chemotherapeutics such as Camptosar, Eloxatin, Avastin, Erbitux and Vectibix. For example, treatment for metastatic colorectal cancer includes combination of 5-FU and Camptosar, Eloxatin and Avastin. Apart from being effective against cancer cells, chemotherapeutics also affect rapidly dividing cells such as epithelium of the skin and mucus membranes (oral cavity and the lining of the gastrointestinal tract). These medications also affect hair follicles and the bone marrow. The most common side effects of chemotherapy for colon cancer include nausea, vomiting, loss of appetite, hair loss, mouth sores, rash (usually on the hands and feet) and diarrhea. An effect of chemotherapy on the function of the bone marrow features with reduction of number of certain blood cells (predominantly leukocytes although erythrocytes and platelets can be reduced as well). This makes a patient more susceptible to infections, bleeding and bruising associated with minor injuries. Anemia due to chemotherapy leads to pallor of the skin and fatigue. Most of the side effects are reversible. If any of them occur during treatment patients are treated with suitable symptomatic therapy which provide with suitable relief from symptoms and allow body to maintain strength to complete the prescribed treatment.